LifeWave patching er ny teknologi til at forbedre sundheden. Disclaimer. The author reserves the right not to be responsible for the topicality, correctness, completeness or quality of the information provided. Liability claims regarding damage caused by the use of any information provided, including any kind of information which is incomplete or incorrect, will therefore be rejected. All offers are not-binding and without obligation. Parts of the pages or the complete publication including all offers and information might be extended, changed or partly or completely deleted by the author without separate announcement. The site and services are provided "as it is" and "as available" and use of this site is sole at your own risk and discretion. All releases on the pages are there for information purposes only. If you offended by anything on the site, please let us and know and we will consider remove it. It should also be noted that the opinions expressed in interviews & articles are the individual's own and should not be attributed to this site. Some articles may be incorrect or outdated, its almost impossible to keep these things in order, any mistakes or errors please contact us, we'll try and put these right! If the opportunity for the input of personal or business data (email addresses, name, addresses) is given, the input of these data takes place voluntarily. The use and payment of all offered services are permitted - if and so far technically possible and reasonable - without specification of any personal data or under specification of anonymized data or an alias. The use of published postal addresses, telephone or fax numbers and email addresses for marketing purposes is prohibited and action will be taken for offenders sending unwanted spam messages. The author intended not to use any copyrighted material for the publication or, if not possible, to indicatethe copyright of the respective object. The copyright for any material created by the author is reserved. Any duplication or use of objects such as diagrams, pictures, sounds, videos, webpages or texts in other electronic or printed publications is not permitted without the author's agreement. It is permitted to print a single copy or make a single electronic copy of site content onto a hard drive for personal, non-commercial use, provided that the content and copyrights is not altered. Any other copying, re-publication or distribution of content via human or robotic action, is prohibited without prior written permission. Any information provided to this site must be true, accurate, current and complete and must be updated when changes occur. Any pre-existing copyright remains with the copyright owner(s) whether explicitly stated or not. All rights reserved. 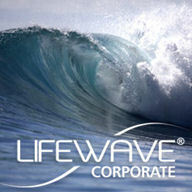 This site and its services are independent from Lifewave US Corporate. The LifeWave patches are intended for healthy adults, age eighteen and over. The guidelines on this website are solely for educational and informational purposes. This information is in no way intended to be medical advice. Please consult a medical or health professional before you begin any new diet, exercise or nutrition program, or if you have any questions or concerns about your health. Individuals that are quoted on this website have experienced results that may not be typical results and as such their results will not be the same as your individual results. LifeWave does not assume any responsibility for your use of information on this website. LifeWave patches are not intended to be used in the cure, treatment or prevention of disease in man or animals.